Welcome to RunLikeCrazy! We’re all about running for fun, living like crazy and trying to combine these ideals for a sustainable approach to a better life! 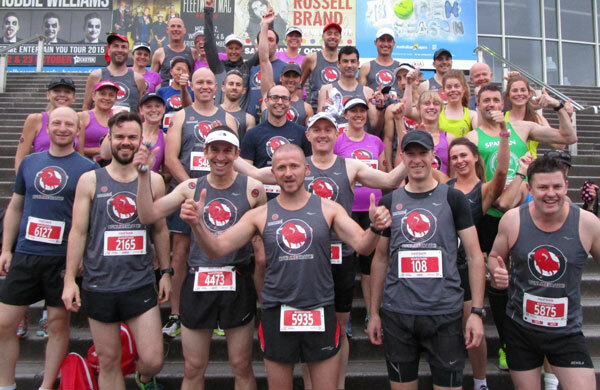 The RunLikeCrazy Run Clubs are a co-operative of running groups. Each group has an experienced coach who can help you find your pacing, then structure your sessions to become the most efficient, most enthusiastic, most exciting runner in the WORLD! Yep, that’s right, you may not break world records, but you’ll have a much better time of it! Best of all, you’ll be surrounded by likeminded, happy running buddies, who’ll keep you accountable for your running and make sure you’re laughing either end of the session. It just makes running more interesting and certainly more sustainable. Come try out your nearest Run Club for FREE – Mentone, Brunswick, South Yarra and Elwood too!